The domestic equity market ended nearly a per cent lower on Monday on growing fears about a US recession and global economic slowdown. Concerns about the health of the world economy heightened last week after cautious remarks by the US Federal Reserve sent 10-year treasury yields to the lowest since early 2018. 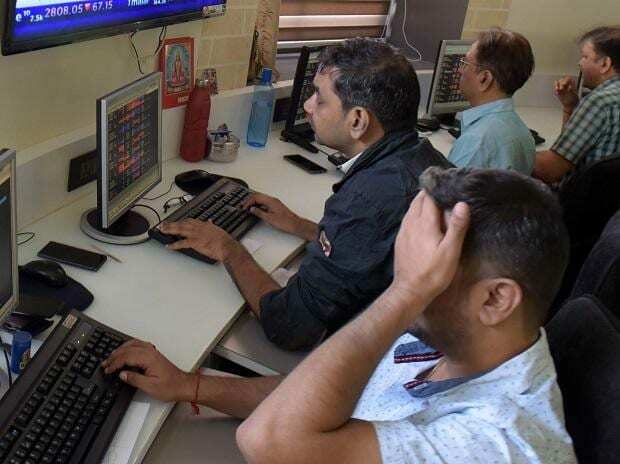 The S&P BSE Sensex fell 356 points or 0.93 per cent to settle at 37,809, while NSE's Nifty50 index ended at 11,354, down 103 points or 0.90 per cent. In the broader market, the S&P BSE MidCap index ended 160 points, or 1 per cent lower, at 14,916, while the S&P BSE SmallCap index shed 171 points or over 1 per cent to end the trading at 14,588. Jet Airways rallied nearly 13 per cent after it announced Chairman Naresh Goyal and his wife Anita Goyal have stepped down from the board of the cash-strapped airline on Monday. Shares of Arvind Fashions surged 10 per cent to Rs 1,060, its highest level since listing on the BSE, in intra-day trade after the change in circuit filter to 10 per cent from 5 per cent. Shares of Hero MotoCorp traded lower for the ninth straight session. During the day, the stock fell near its 52-week low of Rs 2,562, hit on January 31, 2019. Shares of the company ended nearly 1 per cent at Rs 2,580.20. All the sectoral indices on NSE ended in the red, with media stocks bleeding the most followed by realty and PSU bank stocks. Investors ditched shares on Monday and fled to the safety of bonds as risk assets fell out of favour on growing fears of a U.S. recession, sending global yields plunging. MSCI’s broadest index of Asia-Pacific shares outside Japan dropped 1.5 per cent to a one-week trough in a broad equities sell-off in the region. Japan’s Nikkei hit a five-week low after diving 3.1 per cent for its largest one-day percentage fall since late December.